Below are projects I am currently developing and presenting, as well as projects I have created independently of Parijat Desai Dance Company. I seek to cultivate an alternate emotional state to the pervasive anxiety and xenophobia we are experiencing, through a movement journey of sorts. I travel through multiple vocabularies of dance, through different spatial configurations, and through language — at one point advocating for a new vowel. This fall I’m developing this solo into an evening-length production wherein other dancers join me onstage and I/we activate the audience in movement as well. Ensemble work exploring state language around national security, obfuscation and what lies beneath the words. Considering legal and official language in the U.S. and India—two large, militarized democracies who police their borders and Others in the name of the nation. Sharing circle dances originating in Gujarat, India, creating collective movement experiences for people of all ages and abilities. Workshops to the general public and to particular populations—like children, seniors, immigrant communities. Also developing it as a vehicle for empowerment/building energy, for direct action, and for connecting it to advocacy. 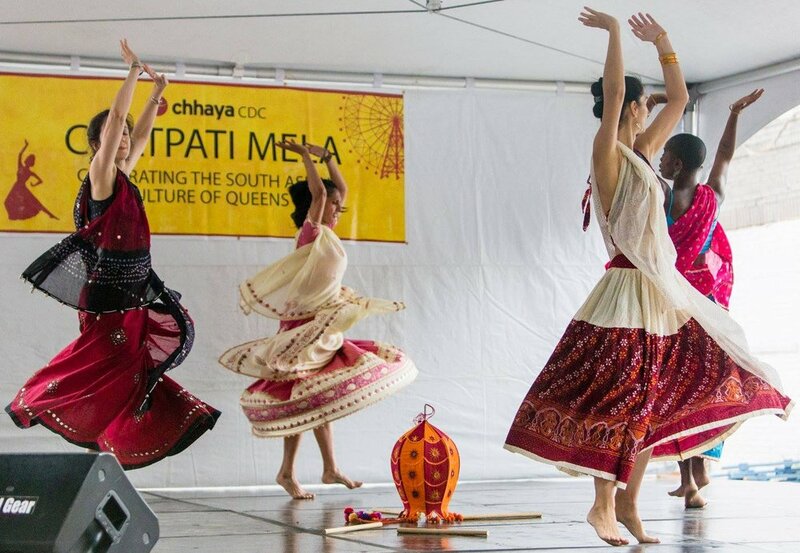 Choreography in the Garba style, with elements of contemporary and West African movement. Set to three Gujarati songs: a call to join the dance, a flirtatious ode to Krishna, and an invocation Goddess Amba astride her horse. Short film shot in New Delhi, India at three Islamic architectural sites in the Mehrauli area. This visual poem enters decaying Indo-Islamic buildings that have witnessed the rise and fall of many political dynasties. Performers reveal fragments of human experience inside those crumbling spaces.